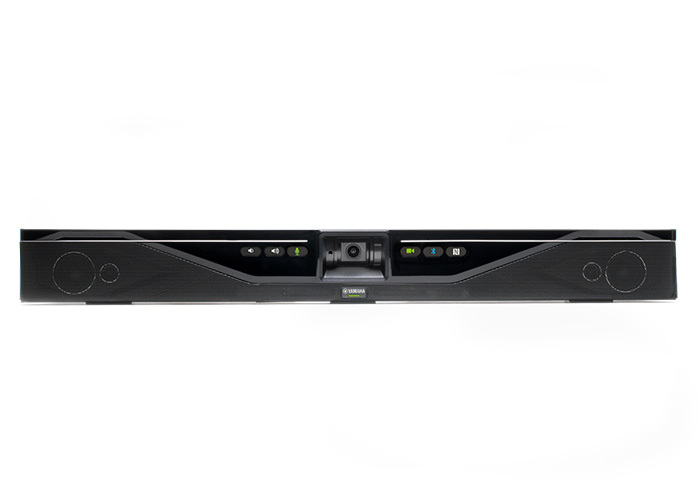 Revolabs yamaha video conferencing system models are Revolabs yamaha CS-700 AV,CS-700 DL,CS-700 DS,CS-700 SP.The Yamaha CS-700 video sound collaboration system is designed as an all-in-one unit to equip huddle rooms with audio, video, and screen sharing capability. Yamaha video conference system huddle rooms have unique requirements, as they typically are small sized rooms with limited tabletop space.Revolabs CS-700 combines wideband audio with high quality video to fulfill video, audio, and collaboration requirements in one simple, wall-mounted system addressing communication and collaboration requirements of the huddle room. Audio, video and screen sharing is accomplished through one USB cable. The integrated remote management capability enables IT departments across the world to remotely monitor and manage their huddle room installations and programming of yamaha dubai conference system. USB audio and video support. Ultra-wide angle camera with 120 degree field of view. Integrated SIP interface for Call Manager integration. Dual display HDMI screen share capability via DisplayLink interface. The small size of huddle rooms, participants sit close to displays and cameras in these rooms, in the past requiring panning of video cameras to see the whole room. The Yamaha CS-700 industry leading 120 degree wide angle camera captures meeting participants in one field of view. The CS-700 camera covers 80% area in the room,removing the hassle of panning and zooming cameras to see everybody in the room. The high pixel count of the CS-700 ensures that every expression is captured for people up to 10ft/3m from the camera. 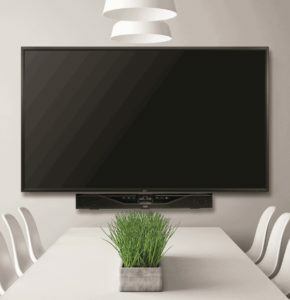 Revolabs Yamaha Dubai CS-700 video conferencing system becomes the one communication device in the room. It supports business communication applications such as Skype for Business, BlueJeans, Zoom, Vidyo and others. In addition, the revolabs CS-700 provides a SIP interface to the corporate call manager, replacing the need for a separate conference phone in the huddle room.Conferencing solution can integrate with pbx telephone system and recording conversation with sip solution.The cs-700 contains four speakers and four microphones.